A great looking lamp. Very tasteful, artsy and cool. Solid base and shade that give off really good light. Am accustomed to pricey lamps and shades. This lamp is a winner for the money! 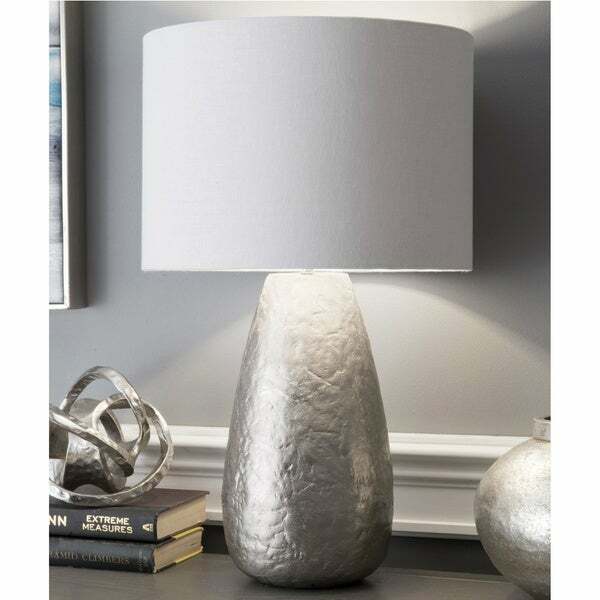 Let your room shine with the addition of this modern, 24-inch high, Aluminum table lamp. It has a Cotton shade that delivers bright ambient lighting. Add an vibrant flair to any room with its Nickel finish. "How heavy is the base of this lamp?"